First of all, let's be realistic. Life is too short to go the rest of your life without ever drinking a soda again. Don’t get me wrong--soda is a terrible thing to put into your body with any regularity. Concentrated sugar (or the chemical sweeteners in diet varieties) mixed with phosphoric acid and laced with a stimulant, there’s absolutely nothing healthy about it. 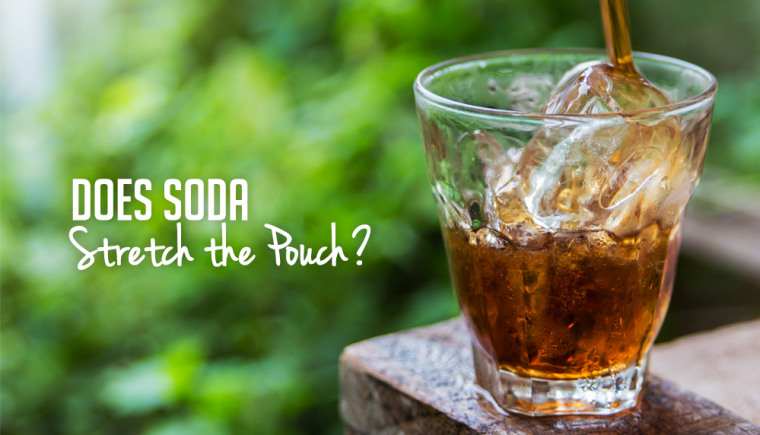 Besides the health risks of drinking soda, it also can be a downright uncomfortable drink for a patient who’s had bariatric surgery, as the acid and carbonation can irritate the small stomach leaving the patient feeling bloated and uncomfortable. Not everything you hear about the downsides of sodas are true. Probably the most common myth I hear about drinking soda after weight loss surgery is that it will stretch out the new stomach. While this may be a catchy way to scare patients from drinking soda, thinking that a swig of soda could permanently stretch out a stomach is incompatible with the laws of physics in the universe that I reside in--it just can’t happen. A true understanding of the mechanics of the “pouch” after gastric bypass will tell you intuitively that a bag with a hole in it (the outlet) cannot allow a high enough gas pressure to build up within it to stretch it out. The sleeved stomach does have two weak valves at either end, but to believe that they could ever trap enough pressure inside to permanently stretch out the muscular wall of the stomach is somewhat unreasonable. Carbonated beverages stretching out a bariatric stomach is an old surgeon’s tale that’s been repeated and passed on and on through the years. So in my opinion, you needn’t stay up late at night worrying about how that Diet Coke that you couldn't resist earlier today may have stretched out your stomach. This is not to say that soda will not be damaging to a patient’s health. The harmful effects are the most clear for regular soda. As weight management is a concern, consider the 180 calories in a can of regular soda. The average bariatric surgery patient who is a few years out from surgery consumes somewhere in the neighborhood of 1,700 calories a day. One soda would add 10% more calories to the daily intake. You'd only have to store 10 of those 180 calories per day to put on a pound every month. So what about drinking diet instead of regular? The science isn’t conclusive, but some think that the artificial sweeteners, while devoid of calories, may actually increase your hunger and cravings for real carbohydrates. Although you may not be getting the calories in the diet soda itself, it may prompt your body to seek out and consume calories from an alternate source. Weight maintenance is all about hunger control and satiety. If you want to give yourself the best chance for weight maintenance, it may be unwise to drink diet soda with any regularity as it's possible it may increase your hunger cravings. Moreover, soda, particularly cola, can potentially increase the risk of kidney stone formation, as it makes the urine acidic, which in turn creates a better environment for kidney stone formation. Add this to the fact that the caffeine in many sodas is a diuretic, which may lead to relative dehydration. (What a great concept for the soda industry, a drink that actually makes you thirstier when you drink it!). These factors may increase the risk of stone formation, which is probably higher than average anyway in a gastric bypass patient. The phosphoric acid in soda can also cause decreased absorption of calcium, a problem that we are already worried about in our bariatric patients. This may damage teeth or increase the risk of osteoporosis over time. One last point: our bariatric surgery patients only have so much room in their stomach. 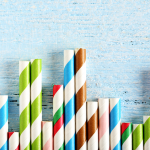 There is fierce competition for real estate down there, and when drinking soda you may be taking up room that could better be used for real food with essential nutrients. So in review, soda won't damage your stomach size but may be detrimental to health in a lot of other ways. May I suggest that you only drink sodas sparingly, possibly as a reward for yourself. If you’ve had a good week of healthy choices, go ahead and split a small soda with a friend at the movies. If you buy sodas, don't keep them in the kitchen fridge where they are easily within reach. Keep them in the garage or somewhere that you have to make the effort to get one. Or better yet, keep sodas (and anything you shouldn’t eat regularly) out of your house and save your soda drinking for a date night or special treat on occasion. Dr. Benjamin Shadle is the Medical Director for Bariatric Surgery at Sutter Roseville Medical Center and continues his dream of helping his patients achieve healthier and happier lives through bariatric surgery and impacting the health of families for the better. He understands that obesity, diabetes, hypertension and other related diseases can have a tremendous negative impact on a patient's health and quality of life as well as family members. Read more articles by Dr. Shadle! 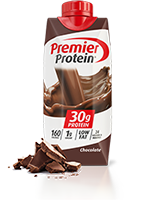 Does Heating Protein Powder Denature It? 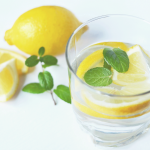 Winterizing Your Body – Healthy Hydration Matters!